Great Value Package Tent + Trap. This Coleman Darwin 3 Plus Tent is a quick and easy-to-pitch dome tent with an extended dome structure and peaked porch for optimum headroom. Perfect for festivals, multi-stop or weekend camping trips, this Coleman Darwin tent's ring and pin attachment ensures a simple setup while PVC windows allow natural light inside the tent. This Coleman Darwin 3 Plus Tent is a quick and easy-to-pitch dome tent with an extended dome structure and peaked porch for optimum headroom. Perfect for festivals, multi-stop or weekend camping trips, this Coleman Darwin tent's ring and pin attachment ensures a simple setup while PVC windows allow natural light inside the tent. 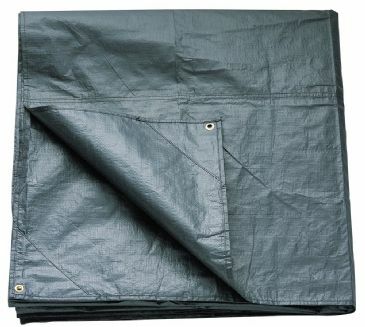 This tarp fits especially well on all Darwin and Tasman tents to provide extra shelter and storage space. 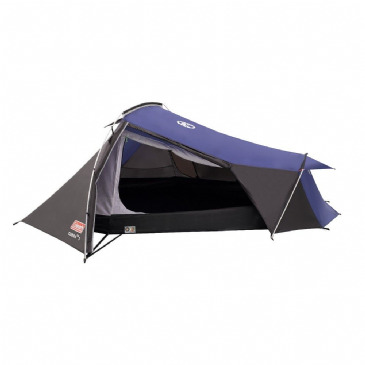 However it can also be easily adapted to suit any tent structure making it a very convenient extension to any tent. The versatile four-person Green Cone tipi has great headroom and features an offset centre pole for easy access to the large porch and inner. This pole lifts the outer from the ground to create a gap to aid air flow. Small corner poles are sewn into the inner to create a wall that adds extra useable space. To save weight, remove the inner and adjust the telescopic centre pole so the outer sits close to the ground – the perfect bivvy tent. Weight without the inner is just 2.9 kg. 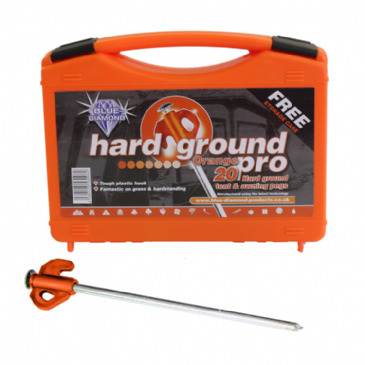 These Blue Diamond Orange Hard Ground Pro 20 Pegs are ideal for hard ground. Featuring a steel composition with an orange nylon head, they come packaged in a convenient carry box. This Blue Diamond Peg Jar Groundsheet Pegs is a useful jar in which you can store all of your tent pegs. Comes complete with 20 x 23cm plastic pegs, 10 x 9cm groundsheet pegs, and a peg extractor tool. These Blue Diamond Pile Driver Pro 20 Hard Ground Pegs are ideal for hard ground as they are thick, steel pegs with corkscrewed shafts for extra grip. A lightweight tent that offers superb value for a budding adventurist; the wedged tunnel design is wind responsive and strong. A quick and easy to erect design, you will be pitched in minutes and the use of aluminium poles ensures that this tent performs in inclement conditions but retains its lightweight credentials. Ideal for touring campers, festival goers or multi-stop trips, Coleman's range of Active tents combine easy to pitch constructions with signature Coleman quality. These tents can be quickly pitched and set down, leaving you with more time to make the most of your trip. Six of the eight sides open up completely, allowing lots of air and light into the tent. The two remaining sides feature a doorway with the patented Coleman Hinge Door that functions like an actual door, swinging open and shut, making entering and leaving the tent swift and simple. A versatile family camping tent with generous dimensions including a large living area and comfortable bedrooms. Offering full head-height throughout and a family sized living area that can accommodate a table and chairs for all. A large front rain porch provides shelter from rain on entry and exit and is an ideal space to store muddy shoes. A quick-pitch dome tent with ring and pin pole attachment for simple set-up. The front porch provides space for muddy boots and gear while the curved door allows for easy entry and exit. Coleman 4 Instant Tent Footprint / Groundsheet is a groundsheet for your Coleman 4 Instant Tent. Your Coleman tent for camping is a valuable asset and the last thing you want is for your Coleman Instant Tent to be damaged on a tent site by stones or ripped. 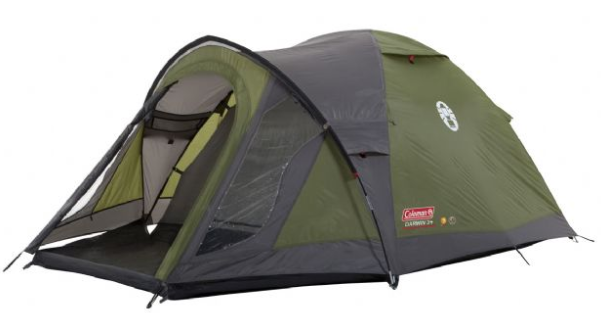 This Coleman Tasman 3 Man Tunnel Tent is a perfect tent for multi-stop or weekend camping trips. Featuring an aero-dynamic peaked tunnel structure, this Coleman Tasman tent offers a spacious bedroom and optimised head height. The front porch of the Coleman Tasman offers a large living and storage area and boats PVC windows that provide natural light and a view of the outdoor surroundings. Great Value Camping Tent Package: Camping Tent + Trap. 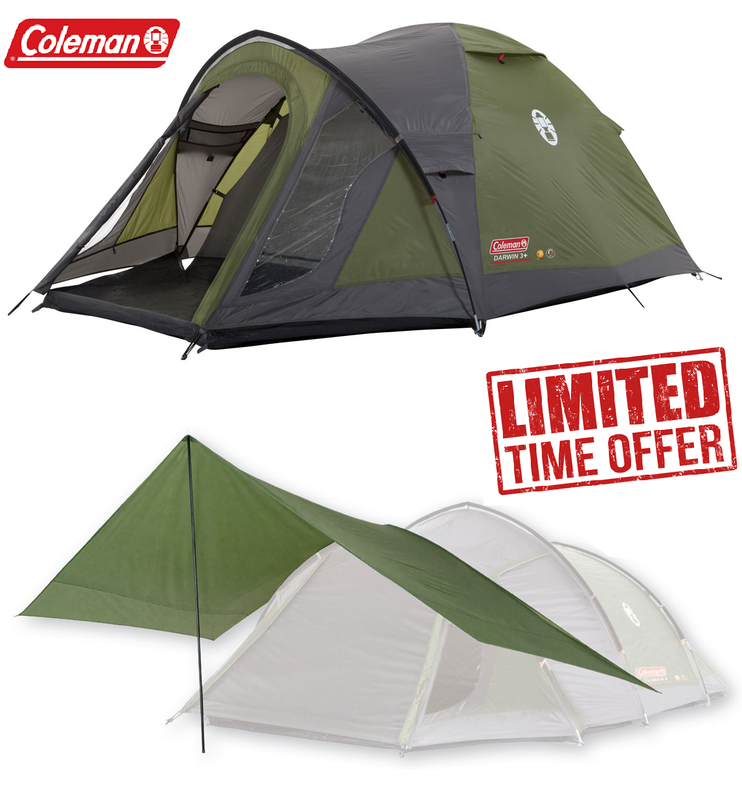 This Coleman Tasman 3 Man Tunnel Tent is a perfect tent for multi-stop or weekend camping trips. Featuring an aero-dynamic peaked tunnel structure, this Coleman Tasman tent offers a spacious bedroom and optimised head height. The front porch of the Coleman Tasman offers a large living and storage area and boats PVC windows that provide natural light and a view of the outdoor surroundings. Hurricane 300 sleeps three people in a smart two room inflatable tunnel design making it ideal for couples and young families seeking a reliable, flexible tent offering unrivalled value for money. The Hurricane 300 inflatable tent sleeps three people in a two-room inflatable tunnel design, with three air tubes, making it ideal for couples and young families seeking a reliable, versatile tent offering exceptional value for money. This amazing two-berth Pop-up tent erects itself! Just unzip the carrybag, take out the tent and allow the integral frame system to spring into shape – no inserting or connecting poles. All you have to do is peg out the Antic Pop-up tent against the wind, using the supplied guylines and pegs. Generally considered ideal for first time campers wanting to sample a night or two with minimum financial commitment, the Comet 200 is an easy-to-pitch, simple, single skin two-berth dome tent that features a roof vent for extra ventilation and improved air flow. Anti-bug mesh allows you to exclude insects while sitting inside with the door open. Best Value of Camping Package - 1 Camping Tent with 2 Sleeping Bags. The Image tent offers classic two-person, ridge style accommodation with single wall construction, ridge pole, integral groundsheet and full mesh insect screen door behind the generous porch area, which is ideal for wellies. The striking tent wall photo print is festival oriented with cheeky humour. See more Easy Camp tents here. The Image tent offers classic two-person, ridge style accommodation with single wall construction, ridge pole, integral groundsheet and full mesh insect screen door behind the generous porch area, which is ideal for wellies. The striking tent wall photo print is festival oriented with cheeky humour. Simple to pitch, the new versatile Cyrus 300 has smart colour styling in a twin hoop tunnel tent design that offers ample space for three. With both inner and outer opening lengthways down one side, it's a practical design for enjoying the view or cooking in shelter as the flysheet door can be pitched as a canopy with the poles supplied, rolled up or zipped down to form a protected wide porch area with detachable groundsheet. The Easy Camp Image Bottle is a single skin festival tent with a sewn in groundsheet and photo print flysheet. The Image Bottle has space for two people. The inner space has a mesh door for additional ventilation and extra comfort. A smart, fast pitching three pole tunnel design of inner tent and flysheet with cheery colours, Spirit 300 offers plenty of flexible space for three young outdoor adventurers. Features include a generous porch area with two curtained windows, front and side door access, detachable groundsheet, full insect-proof mesh inner door plus three vents for effective ventilation. For convenience, there is a lantern hanging point and an organiser pocket. A smart, fast pitching three pole tunnel design of inner tent and flysheet with cheery colours, Spirit 300 offers plenty of flexible space for three young outdoor adventurers. Features include a generous porch area with two curtained windows, front and side door access, detachable groundsheet plus three vents for effective ventilation. For convenience, there is a lantern hanging point and an organiser pocket. Sleeping four in a fast pitching design, the distinctive style of the versatile single wall Tipi tent combines a retro look, using an easy-pitch centre pole, with a full mesh door, multiple guylines for stability, taped seams, integral groundsheet and an apex cowl over efficient venting. Fast and easy to pitch with plenty of space for long weekends, the Outwell Rockwell 3 is a great choice for couples. With a Premier Bedroom and large living area, it’s also ideal for small families and friends seeking adventures outdoors. Packed with Outwell innovation and design detail, it benefits from Rain Safe entry for shelter over the front door with insect screens. Designed to zip to the front of your Brisbane Tent, compatible with the 4, 6 and 8 berth tents from Royal, the Brisbane Canopy provides you with a shelter allowing you sit outside while remaining protected from the elements! The Canopy is ideal for families or larger social groups to increase space and comfort, at your campsite. 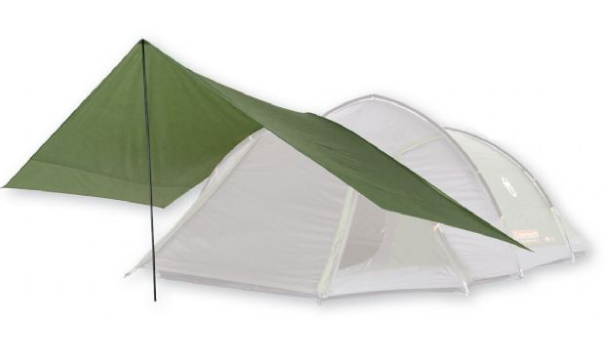 This Summit Stone Trail 200 Dome Tent is a lightweight 2 person dome tent that is quick to pitch with taped seams. Featuring a sewn-in groundsheet and its own carry case, it is ideal for festivals, children's camping sleepovers and overnight hiking trips in the summer. This Sunncamp Tent/Caravan Tidy is portable and great for storing your belongings on camping holidays. This convenient tent tidy by Sunncamp has 16 storage pockets varying in size. Suitable for tents, caravans, or at home. 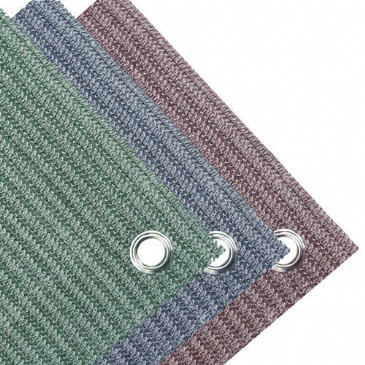 This superb luxury breathable carpet features a close weave which prevents worm casts and insects coming through the mesh, but still allows the grass to breath.